Juneau County Economic Development Corporation's mission is to foster positive economic change for Juneau County communities and to promote the success of agricultural, industrial, commercial and entrepreneurial enterprises. We do this through leadership and collaboration with public and private organizations/individuals on a national, state, regional, county and local level." Juneau County Economic Development Corporation continually revisits planning & strategies set forth by the board of directors to achieve specific goals. Through partnerships, promote and provide educational opportunities for all ages to meet Juneau County’s workforce needs of today and into the future. 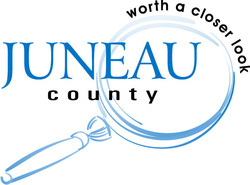 Continuously improve and promote the quality of life in Juneau County including health and wellness, housing, educational systems, and cultural or family events.